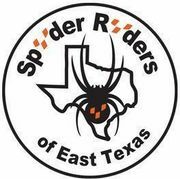 By joining you release Spyder Ryders of East Texas Chapter, It’s Organizers and It’s members of any, and all liability stemming from personal injury and/or property damage which might occur from group rides or other activities. By joining, you are acknowledging that you will conduct yourself in a manner consistent with group expectations concerning safety, group riding ability, experience levels, alcohol/drug usage and group cohesion. *In order to be considered for membership, you must print, sign and be in agreement with the waver form. Although no large group will always agree, nor be able to avoid differences of personalities, spreading rumors or gossip, alienation of members, disrespectful attitudes, and purposeful attempts to cause disparity and strife will not be tolerated at anytime. We want to keep the group atmosphere pleasant for all to enjoy. Any member in violation in the above will be removed and banned from this group.